For years, it has been known that most cases of shoulder injuries were normally treated with surgery intervention causing future complications. This study introduced a whole new perspective by proving that those patients with the dislocation of the acromio-clavicular joint (AC) can be treated in a feasible way through physical therapy. Dr. Michael McKee, an orthopedic surgeon at St. Michael’s Hospital, explained that treating AC dislocation with surgery intervention is no longer recommended. The study also concluded that they couldn’t explain the long-term consequences of surgery in comparison with non-operative treatment. Nonetheless, the researchers explained that patients who were treated with physical therapy recovered faster than those patients who opted for surgery intervention. First, researchers studied 83 patients who had dislocation of the AC, 40 patients were treated with surgery and then rehabilitation, while the rest were treated only with sessions of physical therapy. Second, they monitored the patients’ evolution and complications during a period of two years. The results were that after three months, patients with non-operative treatment came back to their normal routine while only 43 percent of patients who did receive surgery intervention were able to return to their daily routine. Furthermore, the experts also explained that patients with surgery intervention suffered numerous complications during the recovery period, and the patients with physical therapy only presented two major complications that disappeared after some rehabilitation sessions. 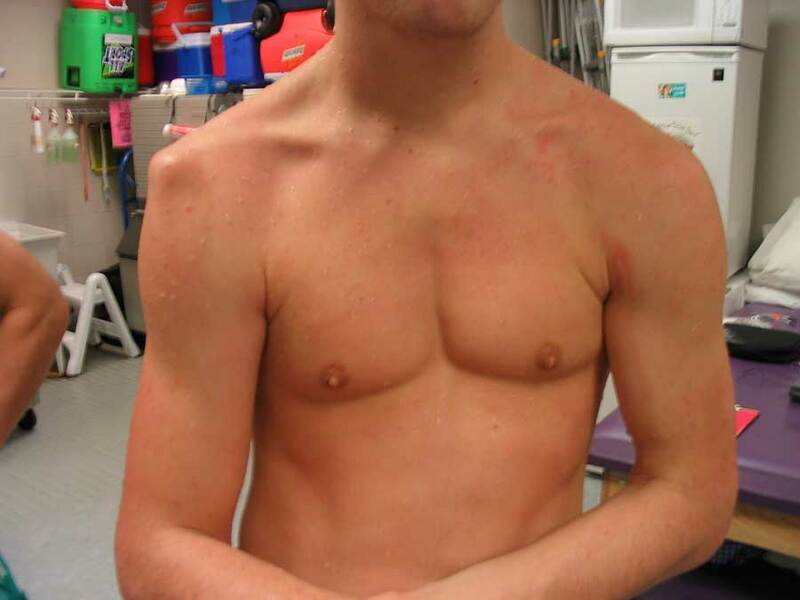 Results showed, that only 16 percet of patients with surgery intervention were satisfied with the appearance of their shoulder while only 5 percent of patients with physical therapy reported dissatisfaction. “The main advantages of surgery are that the joint is put back in place and the shoulder appears more symmetrical and pleasing to the eye […] The long-term implications of surgery for AC joint dislocation remain unclear when compared to non-operative treatment,” said Dc. Mackee in a statement. Nonetleless, Dr. McKee explainded that patients with physical therapy presented better responses during treatment. He further recommended non-operative treatment before surgery because, according to him, health is more important that appearance.